Update: The Top 100 Self-Help Blogs for 2016 have just been announced! 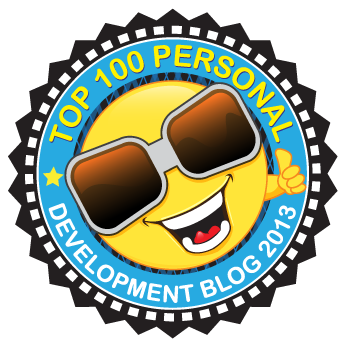 It’s that time of year where we announce the Best Personal Development Blogs for 2013…in fact, we bring you the Top 100! With 2013 just kicking off, now is the time to start creating what your year is going to look like and ensure it is the most successful year you have ever had. Every year is another opportunity that we have for progressing towards our goals and our ideal life. Each year progresses on the next. This year is set to be the best year yet! Spending my life in the career and personal development industries, I’m constantly looking for the latest and greatest information on success, motivation, results and happiness. I regularly deal with people from within the industry as well as those looking to gain valuable insight and information. One thing I’ve noticed is that there are so many people in this world that are after a full list of resources for helping them achieve what they want to achieve in life. The good thing is the internet has provided so much access to the information that previously only those attending $5,000 courses would be able to have. I’ve decided to put together a list of the best personal development blogs of 2013. In fact, this list represents the top 100 personal development blogs for 2013. The tricky thing is these lists are always quite subjective. I’ve found that the longer the site has been around, the more visitors the site gets and therefore the more comments and more votes e.t.c. Although we had only been around for 4 months, The Start of Happiness was recently recognised as the 3rd best personal development blog for quality. To me, that’s what it’s all about. However, because of the subjective nature of measuring quality, the top 100 personal development blogs for 2013 is different. What I have provided is a list of personal development blogs that rank from the ‘biggest’ with the most traffic to the ‘smallest’. This list will provide you a clear indicator of how large a website is and its relative importance. One thing to keep in mind, however, is that the larger the site does not necessarily indicate that the site is of better quality. Generally, you will find that the larger sites have been around for longer and many of them have multiple contributors. In saying that, the top sites have lasted the test of time and continue to have strong readership so they must be doing something right. There are a tonne of awesome websites here, in fact, there are 100 of them. If they were not awesome, they wouldn’t be listed here. If you’re looking to make 2013 your best year yet, you’re going to drown if you try to read all 100 of these blogs. My suggestion is to go through them all at least once. Try finding 2 or 3 blogs that really resonate with you. Which blogs are most closely aligned to what you’re trying to achieve in your life? Which ones are providing you the right information to help you now and into the future? Blogs and websites can change over time. If you feel you’re after something different, pop back to this list and check out a couple of others. Over the past few months, I’ve got to know quite a few of the personal development bloggers on this list and I can say that I’m highly impressed with what they are doing and where they are going. As I mentioned above, this list ranks the personal development blogs from the ‘biggest’ with the most traffic to the ‘smallest’. There are two primary tools for doing this. Firstly, you have Alexa rank of the website. Alexa provides a relative ranking of each website based on the number of visitors it receives. A rank of 1,000 would mean that the site is the 1,000th most visited site on the internet. Just so you know, Google’s rank is #1, Facebook is ranked #2 and YouTube is ranked #3. The Top 100 Personal Development Blogs are ranked by Alexa scores (as of January 2013). Secondly, you have Google Page Rank. Google Page Rank is one of the tools Google uses to determine a sites relative importance. This is done primarily by how many quality backlinks the website has. Generally, a score of 4 or higher represents the site is of relative importance. The Top 100 Personal Development Blogs are not ranked by Google Page Rank, however I have included the PageRank of each for you to utilise if you wish (you can filter by this). The accuracy of these tools has always been questionable when it comes to the detail, however when comparing more generally the relative size of a site they are very useful indicators. Without further ado, let me introduce you to the Best Personal Development Blogs for 2013! Along with the World’s most comprehensive list of Personal Development Blogs comes the World’s most comprehensive ‘life planner’ – the Change Your Life program is your guide to gaining clarity on your purpose in life and creating clear strategies and plans for making it a reality. If your blog is one of the Top 100, you have the honour of displaying one of the following badges on your site. This is the most comprehensive list of personal development blogs currently on the internet and I’m honoured to have you as part of this! Please pick a badge that suits your theme and simply use the code provided to add it to your site. (you may need to replace the inverted commas – “” on your own site for the image to work). Ready to Make a Difference and an Income Doing What You Love? The Launch Your Life Academy is Reopening its doors soon! The Launch Your Life Academy is reopening its doors soon! The last time we opened the doors it sold out fast. The Academy is jam-packed with expert video training, expert interviews, exercises, guides and resources to help you live your passion and stay focused, motivated and disciplined in achieving nothing but massive success. Make sure you join the Waitlist to reserve your spot, get priority access and some bonus free content you’ll love. Here’s to making 2013 your best year yet! P.S. Do you know of someone that would love to see this list? Please share it via the buttons below! No worries! It’s a great resource to continually call upon when needed. Thanks very much for including Lucid Ability on the list. I clicked over from a link on Twitter and never in a million years imagined my site on the list, so you’ve made my day. It must have took ages to compile such a big list. Well done, and congrats to everyone else on the list. Nice work! That’s awesome that you just stumbled across it 🙂 It did indeed take a long time to pull this together.. but now that we have it it’s here for all to use. This is a very impressive list! Thank you for including my blog and for taking the time to put this together. What a great resource. I imagine that everyone could find new blogs to follow from a list this size! Plenty of blogs for people to choose from! P.S. to my readers… Stacy’s blog is actually where I did my very first guest post. Thank you for taking the time to compile this list, Brendan. It is great to have my site included. I have had absolutely no idea prior to reading this post. Thanks for including me! It’s an honour yo! I already read many of these blogs, and they are really some of the best that you can find on self help topics. Thanks for sharing these blogs here, and recognizing their contributions to the greater good. Thanks for sharing… the amount of information all these blogs have is amazing. The collective good from what everyone is doing is fantastic. I’m glad to be on your list, Brendan! Thanks a lot for including! Much appreciated! That was very thoughtful of you to create the best personal development blogs of 2013. To make your list is a true honor and I really appreciate it. I like the way you set this up and it is a fair measure of value for sure. It must have taken you a long time to do this and I will be sure to share this link as well. Hi Justin… indeed, it took A LOT of time pulling this list. At the same time, I absolutely loved doing it. It’s awesome to see what everyone is doing and the value that is being added in this world. The blogs are so diverse that there is literally something for everyone. Thank you, Brendan. A wonderful labor of love. I know almost everyone on the list and am looking forward to visiting those I don’t. The world is full of friends. Thanks, Vidya. Congrats on making the list! Indeed, I too haven’t met everyone yet but I’m looking forward to getting to know those I haven’t! I know it’s a tremendous amount of work to put a list like this together. So I really want to thank you for gathering all these incredible resources together in one place. I appreciate your intention to compile a list of the best blogs to help people progress toward achieving their goals and their ideal life. I’m honored that you have included my blog among all these luminaries. Wishing you the best. Hi Sandra, congrats on making the Top 100! Thanks. I loved pulling this list. Although it took a long long time, now that this is sitting on the internet it is the perfect ‘go to’ place for finding some great information for living your most successful life. YEY! I’m so happy to be a part of this list! Thank you for putting it all together – I’m going to shoot it out to my readers – what a wonderful resource! So excited to see I made this list! Made my whole day! WAHOO! Thank you for compiling this! Brendan, you deserve applause for finding so many excellent blogs – big and small! I enjoy the positive vibe I get from your color scheme and smiling dudes everywhere. 🙂 Good job with that. Of course, I’ll make sure Deep Existence lives up to the honor. Thank you. That’s awesome 🙂 Thanks for letting me know! I’m looking at a way of incorporating a few blogs that could potentially have made this list. Congratulations to the awesome and deserving folks featured in this list. I’d like to make special mention of Stacy (growwithstacy.com @ #20 of the The Top 100 Personal Development Blogs of 2013). I’m a follower/fan. Of course I’ve also been a lurker at Steve Pavlina’s for years. Thanks for this list. It also gave me a list of other exceptional people to follow. Stacy’s site was also where I did my very first guest post… thanks Stacy! Fantastic resource you have compiled there. Thanks for making it available and for including the Inspiration blog. Just a quick correction if I may: the Inspiration blog has actually been PR4 for some time now. If you could edit the entry, I would be grateful as I am sure people will be using the useful pagerank sorting facility you have incorporated. Thanks for letting me know. I have updated for you! Great list Brendan! I can’t imagine how long it took to do it :D, love the badge you created! I’ve already seen it on some of your winners. Bam! Thanks for compiling such an awesome list and It’s amazing how I’m on there already. Good job! Congrats on making the list, Jamie! Thank you so much for including me in this list! This is an amazing resource! I know many of the sites here but have discovered some new gems. Thank you so much for doing the research and putting it all together! It was time-consuming… but it’s great that we now all have this as a resource! Amazing just how far you have come in only a few months. Keep it up! Thanks so much for putting Bounce on the list! I’m honored! And it’s great to see all of these other terrific blogs all in one place. Hi Bobbi, congrats for making the list! Your blog has some great resilience building topics which I absolutely love. What an honor! What a surprise! Thank you so very much for including my blog on this list! I noticed I was getting some traffic from your blog so I thought I would check it out. Being on the “small” end, I was not sure what that could be about. Imagine my joy booming as I found this list! I am just thrilled. It’s lovely to be recognized in this way. I appreciate it very much. Blessings to you Brendan for taking the time and energy and for helping others in a genuinely caring way. Do you have a rough number about how many personal development blogs are out there? Great questoin on the number of personal development blogs… it’s impossible to say, however there are currently roughly 200 million blogs on the internet. As personal development is such a topic to post on, I would assume there would be roughly one million? Any way you look at it.. there are a LOT! Thanks for letting me know about the website! I’m looking at a way of incorporating a few blogs that have gone unseen. Just wanted to thank you once again here, for compiling this list and for adding me here, in such a great company! Thanks so much for including me here! What a wonderful surprise!! And I can’t wait to check out all the other blogs. Such a great list. I know many of these blogs, but look forward to taking a look at the some of the blogs I am not familiar with. Very extensive list — and I see many of my favorites there. Thank you for the free download – 27 pages! Great list! But I don’t see my site “Freedom From The Known” here, my alexa rank is 790,016. I would love to join the company of these great blogs. Hope all is well, keep up the good work! I hope to make it to this great company this year. Exactly… hard work pulling all this together and there have been a few other blogs that have come to my attention. It’s great to be able to keep this is a resource. It’s great to see a list like this available again. There was another website that had one a while back but it wasn’t maintained. I’m going to start reading my way through the list and hope to find some great new blogs to follow. There’s some awesome blogs here… I’m sure you’ll find what you’re looking for! Eric , me too,I have just started reading through,and I hope to visit everyone of them to draw a wealth of lesson on how to step up my blogging. I love the initiative you took in both putting this list together and creating a badge for those who made it. That’s awesome and wish you lots of success as you spread the happy word. Keep up the great work, Brendan! Thanks for a great list. I will definitely be visiting most of this blogs on the list, as i am preparing for my best year yet in 2013. Some of my favorite ones are already on the list. What an honor to be included in your very impressive list! I feel bad this is so late in coming but I only found out about this when a reader left a comment about it last week. Finally took the opportunity to track the post down and what a lovely surprise! I’m familiar with many of the excellent blogs on your list, but there are others new to me so I’m looking forward to visiting each and expanding my personal growth horizons. Thanks again! Hey, Brendan! Wow, this is super cool; I’m chuffed I got a slot at #98. Thank you so much. 🙂 The logo just makes me smile! Many many thanks for helping us with such a great list. I hope to visit everyone of them to learn and draw valuable information for my blog as well. My favorite blog is definitely The Change Blog. All of the articles there are incredibly personal and you just really internalize the advice simply because it hits home, or at least for me anyway. That’s pretty much my answer for all three questions you posed. I learn a lot about myself from reading their stories because reading them, I reflect and understand why I do what I do based off of their point of view. It’s really just a great blog overall and it’s different from the others due to that heavy, personal touch. A huge thanks to Brendan for putting this list together. I found some really great blogs on this list. Much appreciated!! What a great list! It’s fun to see some familiar names, and I look forward to getting to know some new folks, including you! You and I both write about happiness, so I’m especially excited to read more of your blog and have now marked it as a favorite.. A project like this is a lot of work. so many thanks to you for the effort you put into it. Wow! I had no idea I had made the list! yay! Thank you so much. I know many lovely bloggers here and would love to connect further with the many I still dont 🙂 Thank you for taking the time to put this together. Its weird cause i had never bothered to check my Alexa rankings etc. But all good to know. Great job compiling this list. Cheers for the great list some good sites in there. That is an awesome list! I frequent many sites on the list, but am delighted to add a few more to the regular rotation. I know how much effort it takes to compile such a list and keep it up to date, so kudos for the effort! Great list. Thank you for the effort in compiling them. I have enjoyed reading ! nice list you have populated and it adds great value to this site considering that your site is also similar in terms of what you offer your readers.This site is fun and very welcoming . I personally enjoy StevePavlina more than all the others there and feel that many from the top ten actually went down to regurgitating the same old stuff. Steve is different in the sense that he delves so deep into a topic that there is no point in looking for another resource. Great thing to see a personal development legend among bloggers. Penelope Trunk is also great, and Scott Dinsmore is kinda on the rise. His writings are so powerful and win affability by promoting optimism backed by both logic and science. Here is something I believe you and the readers here will enjoy quite a lot. An article titled “The blogosphere on 2013” which I made by asking 42 bloggers and online giants to share their advice for this year. The blogosphere became the ultimate platform for sharing ideas when it comes to personal development. I planed on doing a research about the chronology of personal development and it is fascinating to see how much the blog as a form has contributed to shifting the landscape in this industry. Oh, and btw I cannot seem to find Tim Ferriss’s blog “The four hour week” on the list. This guy is the ultimate self-learning machine. Flawless methodology when it comes to self-improvement. And a lot of great articles that go in incredible length describing all of his endeavors. It was a real surprise to find such a comprehensive list of quality sites. I have seen very few if any of them until recently when I went looking for self development sites. So often we are lulled into a sense of complacency, especially as we grow older, so it is good to be challenged once again by your efforts. I know how much work goes into preparing such a list and keeping it up to date. It will certainly be part of my regular site visiting now. This is the best list ever:) Thank you so much for providing us with this great collection . Now if we could only give you an award! Awesome list! Thanks for taking the time to compile this. I follow some of these and can’t wait to check the others out. Also, I love your blog in general and feel such a resonance with your content. If you’re ever looking for guest bloggers, I’d love to contribute! Although it’s a newer blog this year, I think http://www.unordinaryman.com is really different and full of valuable info. Perfect! This is exactly what I was looking for. thanks for taking the time to create that table. Mindbodygreen.com is another great one. Thanks for posting this! This has helped encourage me to start my personal development blog by taking action NOW!!! I’ll be in touch for sure to ask for some help/mentorship 🙂 Thank you! Thank you for gathering all this information . I think your readers would really benefit from reviewing http://www.growthguided.com ! I’m sure they would rate this site very high in your top 100! It’s all good stuff. I have a site geared toward personal crisis and life/fulfillment tips at http://www.gabenies.com. Thoughts? Awesome list Brendan! I was looking for some new sites to read and this’ll definitely keep me busy. Your hard work in putting this together is much appreciated! Thanks for the list. Isn’t it amazing how much good information and advice that is available at the click of the mouse and the majority of people are unaware of? I am always amazed at how we have so much knowledge and take little action. I have found some of the listed blogs quite inspiring over the years. What a phenomenal list! Great stuff there and thanks for sharing! Perhaps another resource for you to consider in your next list would be MorningCoach Personal Development Community. Complete with daily podcasts, blogs, and support community, we aim to help others improve their lives. Much respect and keep daily discipline. Happy thoughts. A great compilation. Hope to make it to this list very soon. A great compilation. Hope to make it to this list very soon. My blog is about life and happiness and solutions to work-related problems. Coming soon. Thanks a lot for your sites that really helpful to me and I think all others in online for their personal development.